Which animals are the most cantankerous? The most playful? Who eats the most? 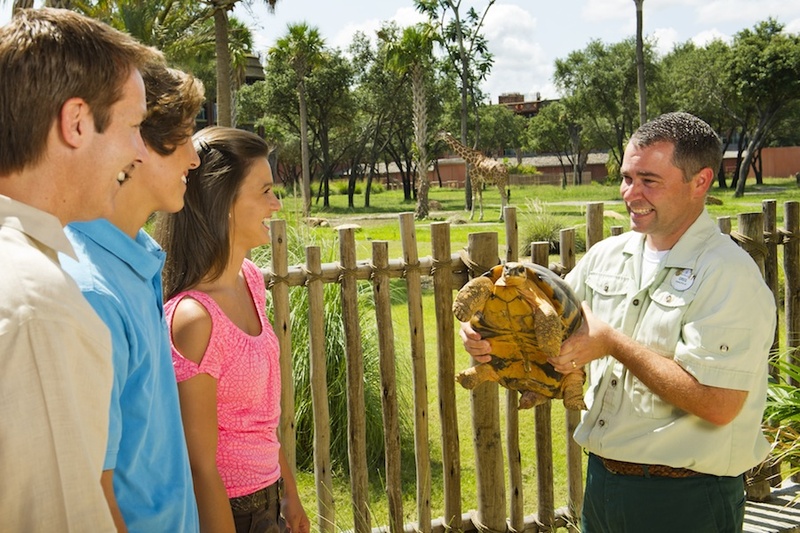 Fans of Disney’s Animal Kingdom and Disney’s Animal Kingdom Lodge already know that the well-versed animal specialists are always ready to answers questions and share their knowledge about the beautiful creatures roaming the savannas. 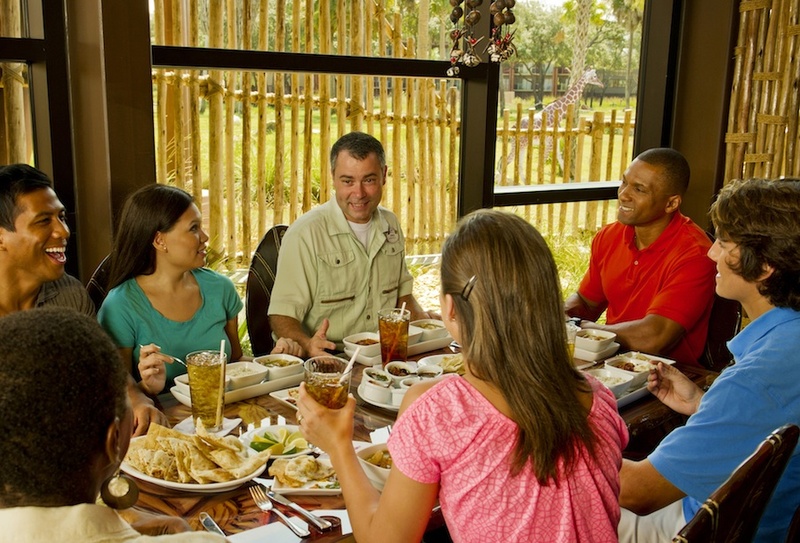 But now there’s an even more personal way to learn about the animals – and enjoy a delicious African-inspired lunch at Sanaa at Kidani Village at Disney’s Animal Kingdom Lodge. With a view out the restaurant window onto the savanna, one of the resort’s animal specialists joins a small group (no more than 12) around the table for lunch and a fun insider’s view, with time for lots of questions. A giraffe gallops by; a zebra grazes unaware while guests enjoy a four-course lunch from Sanaa’s tandoor ovens. From warm naan bread and savory dips to slow-cooked meats and unusual sweets such as a tropical fruit kulfi and chai cream, you get a culinary lesson too as the restaurant servers talk about each delicious course. The Animal Specialist experience is every Wednesday from 11:30 a.m.-1:15 p.m. Cost is $49, $29 ages 3 to 9 (special kid’s menu). The price includes the gratuity plus a $5 contribution to Disney’s Worldwide Conservation Fund. To make a reservation, call 407-938-6922, option 3 or stop by Disney’s Animal Kingdom Lodge concierge. Beginning Aug. 1, reservations will be available online at http://disneyworld.disney.go.com/reservations/dining/ or call 407-WDW-DINE (939-3463) up to 180 days prior to visiting.